Alan Fenna is Professor of Politics at The John Curtin Institute of Public Policy, Curtin University, Western Australia. He publishes in the areas of Australian politics and government; Australian and comparative federalism; economic policy; social policy; and constitutional issues. 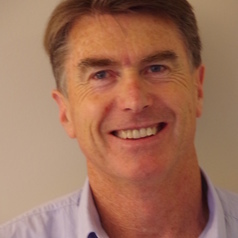 He is the author of Australian Public Policy, 2nd edn (2004), co-editor of Government and Politics in Australia, 10th edn (2013), and co-author of Comparative Federalism: a systematic inquiry, 2nd edn (2015) as well as a range of book chapters and journal articles (see: http://oasisapps.curtin.edu.au/staff/profile/view/A.Fenna). Professor Fenna served as 2009-10 President of the Australian Political Studies Association (APSA).